We manufacture and supply premium range of Liquid Waste Incinerator for Liquid Waste. These machines are of high quality, easy to maintain and available at competitive prices. These are widely used to dispose any types of liquid waste. As liquid wastes comprises complex mixtures, our incineration system assures safe disposal of these wastes. 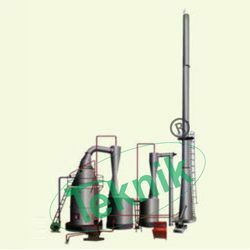 We are prominent manufacturers and suppliers of high quality Liquid Waste Incinerator. These incineration systems assure safe disposal of all types of liquid wastes. These products are manufactured using optimum quality raw materials that are sourced from reliable vendors. These products are designed to be compatible with a wide range of fuels. These are known for high efficiency, long service life and requiring minimal maintenance. These products can be customized as per the requirements of our clients. 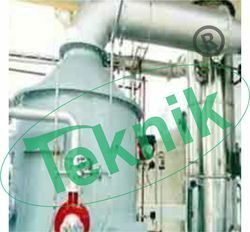 We are among the leading manufacturers and suppliers of Liquid Incinerator System. These products are used for liquid waste disposal and they have been manufactured keeping in mind the emission standards. These products are manufactured using optimum quality raw materials. These products can be customized as per requirements. Our liquid waste incinerators are running successfully in many companies. These products are offered at standard market prices. We design the Incinerators with different fuel for Incineration of your Liquid Waste. LDO, HSD, Diesel, FO (Furnace Oil), LPG, CNG Natural Gas, Etc. can be used as Fuel of our Liquid Waste Incinerators. Our design is proven and running successfully in many companies. Please contact us for Low Fuel/Fuel Efficient Liquid Waste Incineration System. Looking for Liquid Waste Incinerator ?